Imagine if legendary and revered comedian Bill Hicks hadn’t died in 1994. 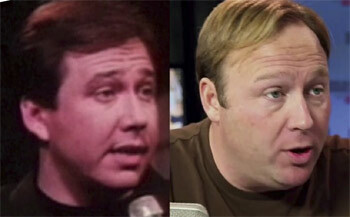 Some people believe Alex Jones is really Bill Hicks. I am not among them. What if- just hear me out- he supported Trump in 2016? How would that make you feel about him? What if he’d gone “right-wing”, pre- or post-9/11? Would he still be referenced in Tool songs?